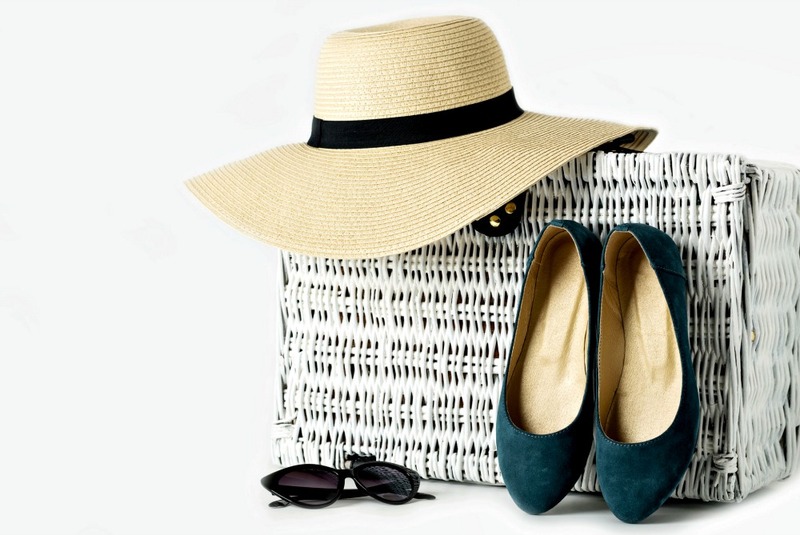 Packing shoes can be the trickiest part of organizing your suitcase. Not only are they usually the largest and heaviest items to pack, but they also can get your clothing dirty. This is where travel shoe bags come into play. If you’re looking for the best travel shoe bag, look no further! Our readers found them! How do you pack your shoes? I’m wondering what is the best way to pack my shoes into my luggage. Last trip, I used produce baggies, but I’m wondering if it’s worth investing in better storage. Shoes are not only cumbersome, but they easily can mess up the organization of our luggage and get other items dirty. Just as you use packing cubes for clothing, you can use travel shoe bags. Shoe bags are great for organization and keeping them separate from the rest of your items. This is especially important if your shoes get muddy, dirty, or start to smell after extensive walking for days on end. Our readers recommend their top picks for the best travel shoe bags, from Amazon favorites to DIYs! Read about the benefits of each travel shoe bag option. Who says packing cubes are limited to clothing? Many of our readers use packing cubes to organize their shoes. Compass Rose packing cubes allow you to organize by number and color, so you know what’s in each bag, even when you use them as a shoe carrier. Read these tips on how to use packing cubes (with video), the best packing cubes to use, where to buy them, the best ways to pack using them, and if they’re worth it! 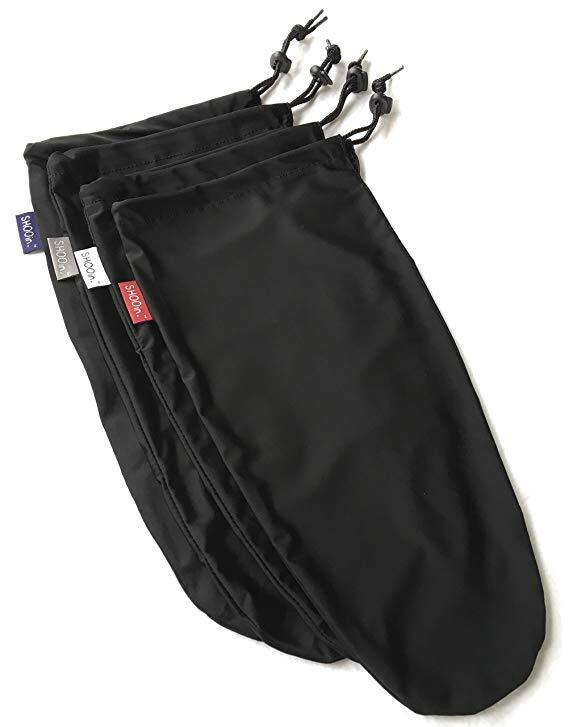 These Shooin EZ-Pack Travel Shoe Bags are perfect for individually packing and protecting your shoes. They’re easy to use, with a simple drawstring pull to open and close them. Each shoe pouch is roomy enough to fit up to a men’s size 14 tennis shoe. If you like to travel with several pairs of shoes, consider using a larger shoe suitcase, such as this MoreTeam Shoe Storage Bag . 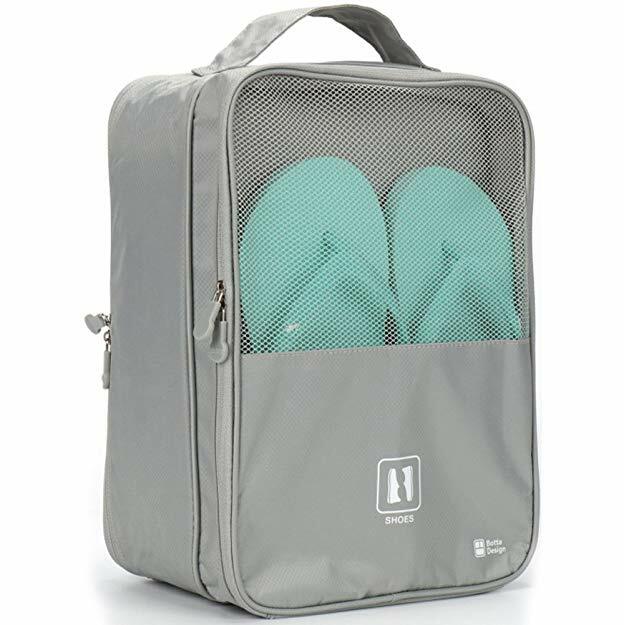 Large enough to hold three pairs of shoes, travel shoe suitcases can give quick and easy access to your shoes while you travel, and protect your clothes from dirt and smells. 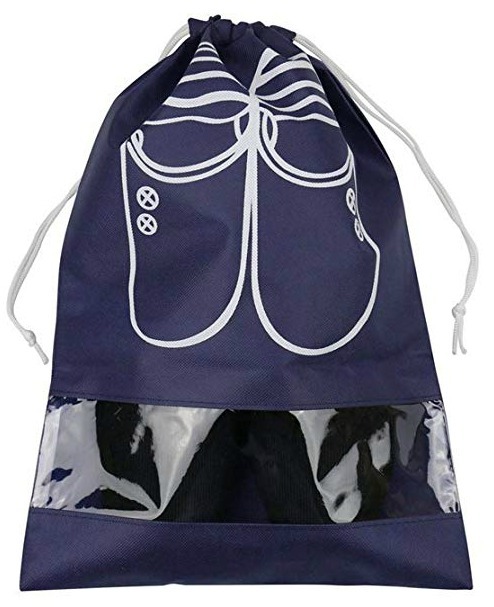 For a durable shoe dust bag option, look for a nylon bag, such as Yamiu Dust-Proof Drawstring Shoe Storage Bags. You can protect clothing from shoes in your suitcase thanks to these bags’ high-quality non-woven nylon with drawstring closure. 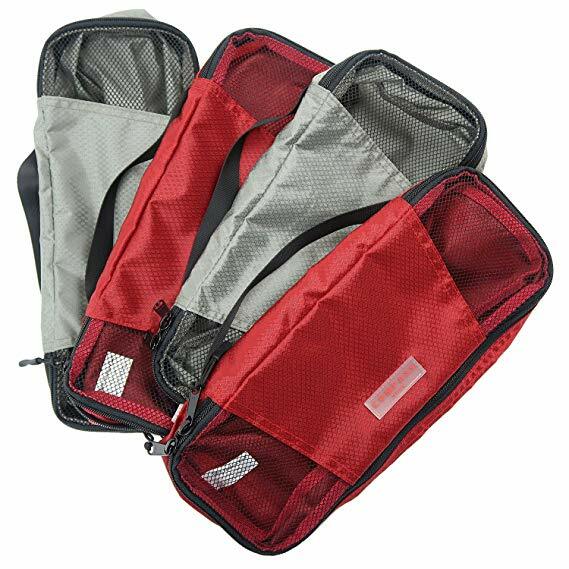 Sold as a set of 10, you’ll never want to travel without this shoe storage travel bag. If you’re eco-friendly, minimalist, or like to reduce waste, you’ll love this inventive idea for a shoe tote. One reader recommends using cloth drawstring bags. You can purchase them large enough to fit a pair, or smaller ones for packing one shoe each. 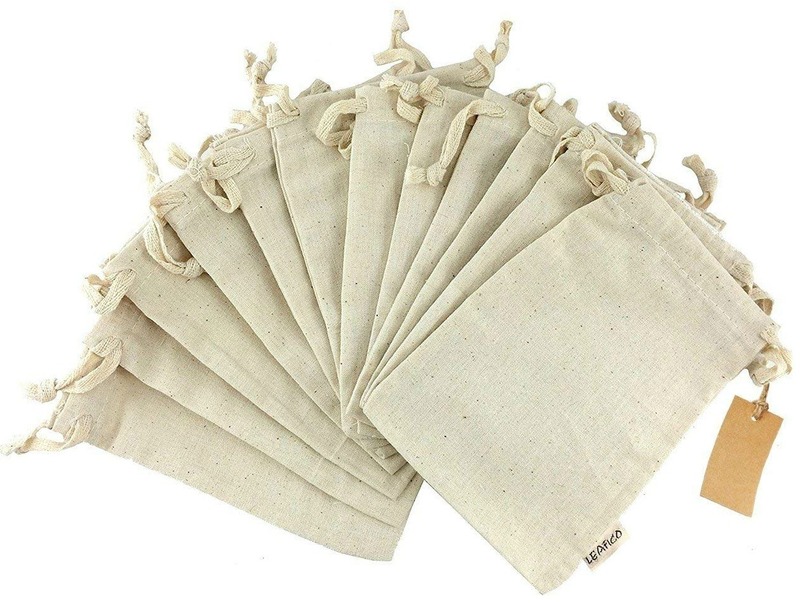 These muslin bags are easy to wash and can be reused over and over again, even as a draw string shoe bag. For another eco-friendly option, several readers use reusable produce bags to carry shoes in their suitcase. This color-coded set of five Flip & Tumble Produce Bags are a mesh fabric with double-sewn seams, making them strong and long-lasting. At just 0.4 ounces, using them as cloth shoe bags will help keep weight to a minimum. 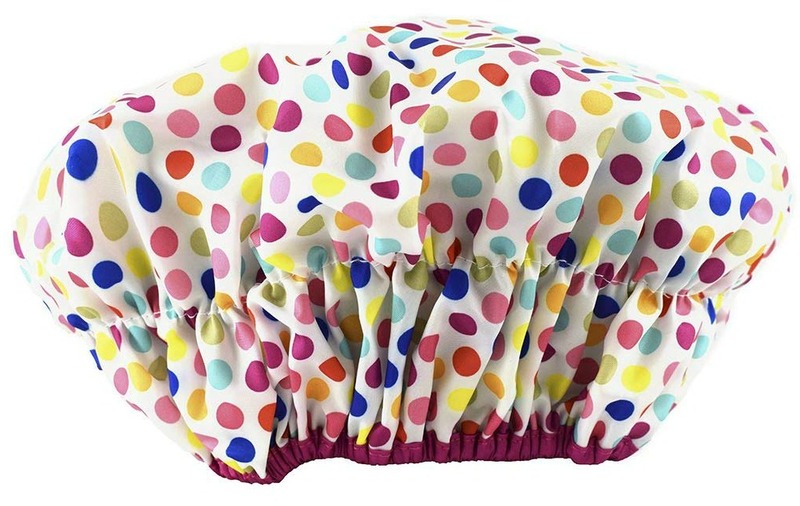 Have an extra shower cap lying around in your hotel room? Use it as a travel shoe bag! Several of our readers use this inexpensive item to wrap around as travel shoe covers. Never underestimate the power of a plastic bag! Our readers love to bring Ziploc bags on their travels for a variety of uses, including as plastic shoe bags. 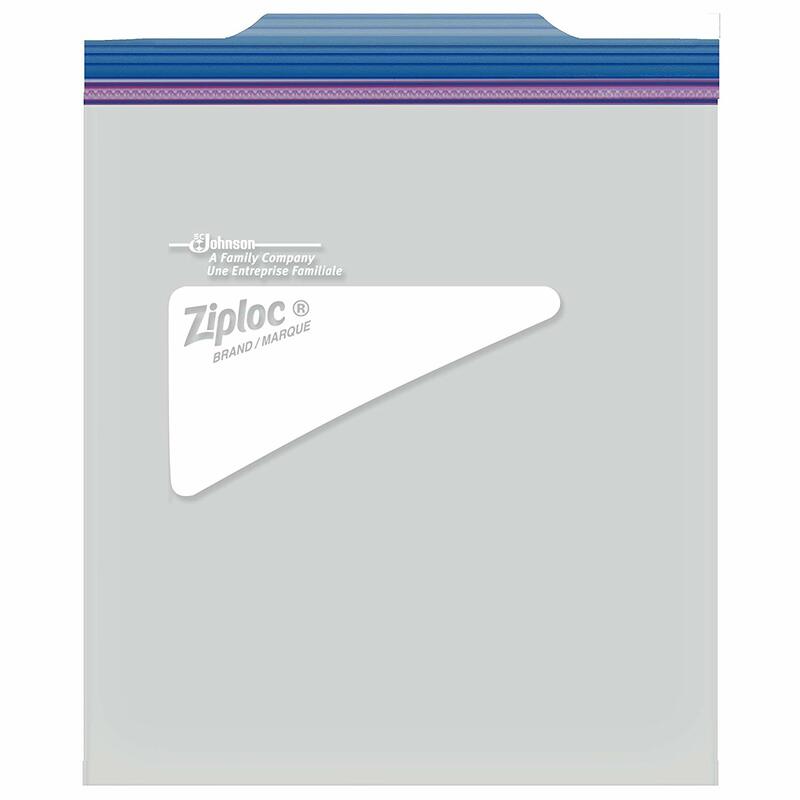 Readers use Ziploc freezer bags for shoes, to pack pairs or individual shoes. 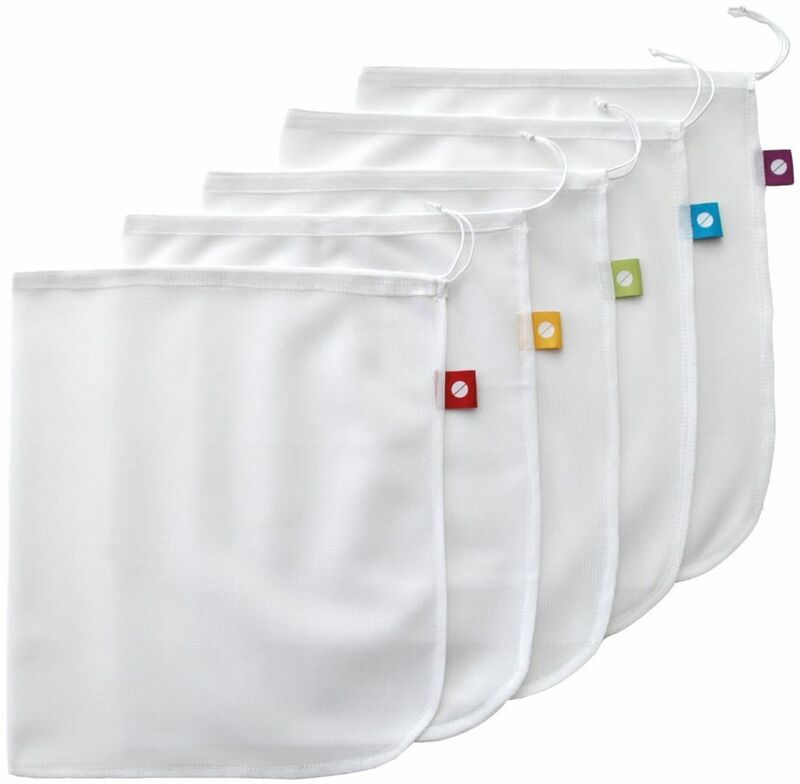 Seal them to prevent smells and dirt from getting into your clothing. A reader says, “Ziploc bags are always an easy solution. Grab a few and seal up your shoes to avoid stenches in your luggage and keep everything clean.” As a clear shoe bag, you can easily see what’s inside! See what our readers recommend as essential yet unexpected thing to pack for an extended trip abroad! As a bonus, keep your luggage and everything in it smelling fresh. Carry shoe deodorant spray with you! It’s safe for your feet or your shoes. Which of these shoe bag ideas will you choose to organize your footwear? Share in the comments below! 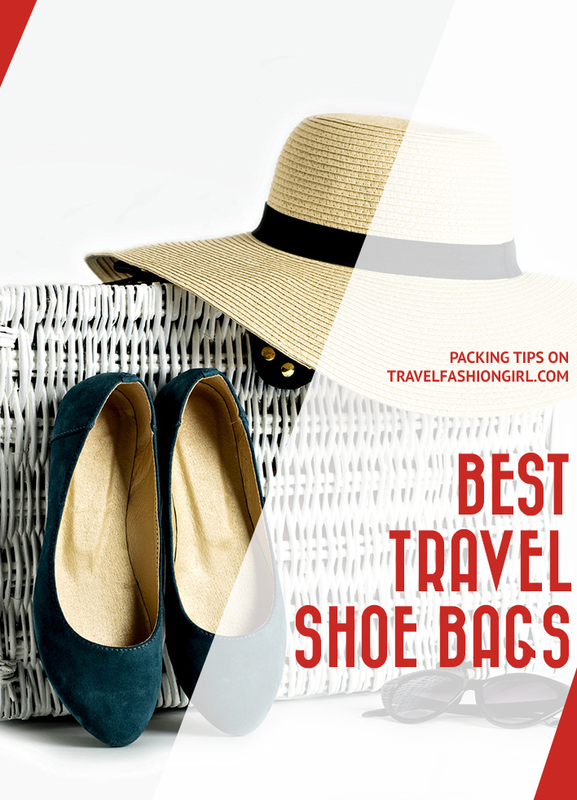 I hope you found these tips on the best travel shoe bags helpful. Please share with your friends on Facebook, Twitter, and Pinterest. Thanks for reading! I use the plastic bags my newspaper is delivered in – one bag per shoe. Makes it easy to tuck shoes into luggage.